An animal welfare charity has warned South Yorkshire is in the grip of a horse crisis. The RSPCA said the number of neglected and abused horses in the region is at a ‘critical’ level. The number of calls the charity from members of the public concerned about horses increased from 606 in 2013 to 623 last year. Headcollar injuries, starvation, untreated wounds and irresponsible ownership were the main reasons for horses entering their care. The RSPCA ha 640 horses in its care and needs to find homes for them. It is estimated 4,500 horses are still at risk in the UK. David Bowles, assistant director for public affairs, said: “As the Control of Horses Bill has just been made law, it is too early to know if it will help to reduce the numbers of abandonments across England but when the same legislation was passed in Wales last year we certainly saw more horses at risk over the border in England. 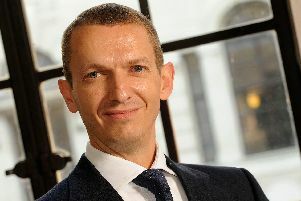 Could this former Sheffield University student become new £480,000 a year Bank of England boss?